How is a limited edition print made? 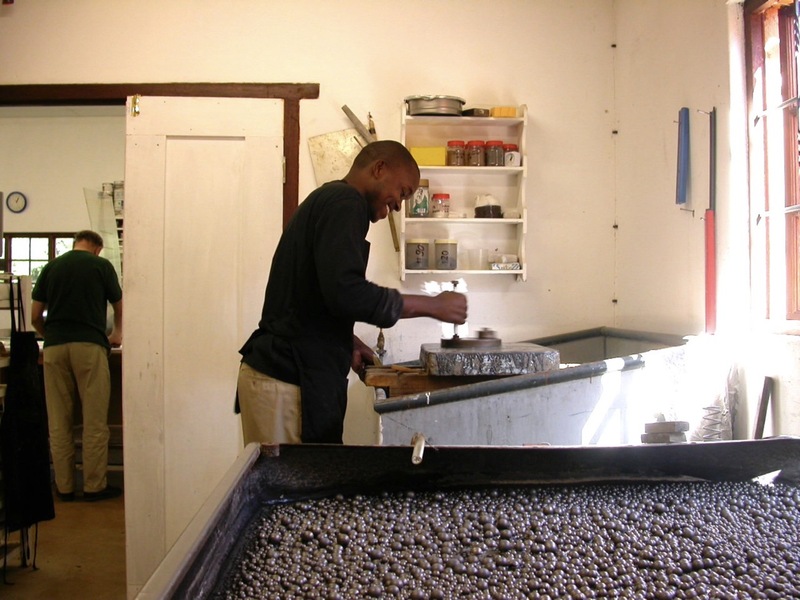 In 1991 The Artists' Press print studio opened its doors in Newtown, Johannesburg, under the direction of Tamarind Master Printer, Mark Attwood. 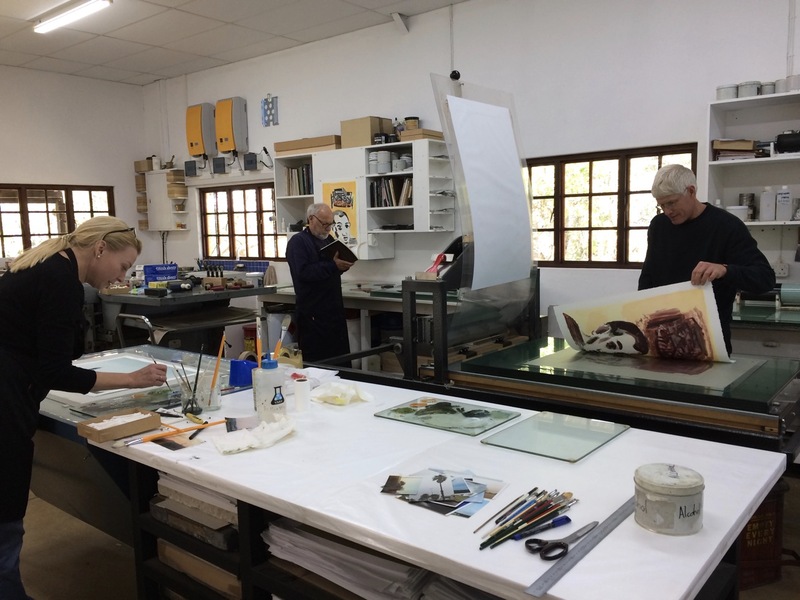 The print studio started as a lithography studio providing artists in Southern Africa with a workshop dedicated to the production of limited edition hand printed lithographs. Since its inception, the press has grown steadily and today offers a variety of print processes to artists as well as publishing and selling original prints and artists books via this website. In 2003 The Artists' Press relocated to a farming area just outside of White River in Mpumalanga, South Africa. In the purpose-built print studio, the press now offers lithography, letterpress, mono printing and relief printing. The Artists' Press is a small print studio dedicated to offering artists the very best in personal attention. All work printed at the studio is done by hand. We use acid-free paper and the most light-fast inks available, taking the utmost care to ensure that the work is of the highest possible standard. We continually strive to improve the quality of our prints. All editions are carefully curated and documented. 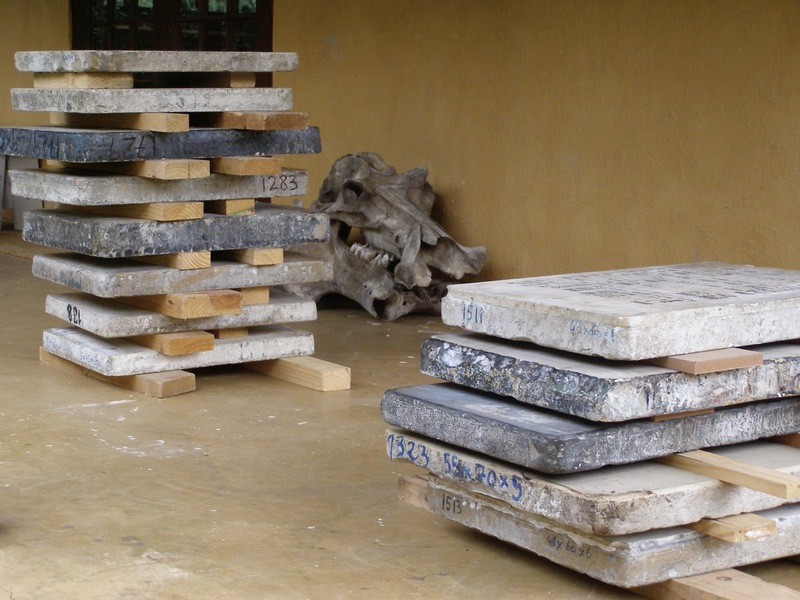 Once editions have been printed and signed, the plate or stone is defaced thereby preserving the integrity of the edition and ensuring that no second editions can be printed. Documentation sheets are available, on request, for all editions printed at the studio. The print studio has been internationally recognised for its contribution to developing the culture of printmaking in Africa. The studio has initiated and taken part in a number of exciting international and regional projects. These have included collaborations with the Kuru Art Project (Botswana). Most notable of these is the publication of Qauqaua (the first book written in a San language, as told by the San and illustrated by San artists and bound in traditionally tanned goatskin). Qauqaua was selected in 2001 for the "Voyages Exhibition" of the Smithsonian Institute Libraries and was listed by the Grolier Book Club as one of the top ten highlights of the exhibition. The Ultimate Safari, a short story written by Nobel Prize laureate Nadine Gordimer, was illustrated by Mozambican refugees living in South Africa and poignantly illustrates the need for peace and co-operation as a prerequisite for development. The studio uses one chop: TAP which are the initials of The Artists' Press. These have been assembled to reflect the form of a hand litho press as seen from the side. All prints produced at the studio are embossed with this chop. Watch a video (click here) of Mark Attwood talking about the studio at Tamarind's 50th Birthday Bash in 2010. Artists whose original prints are available from us are carefully selected and individuals who are published by The Artists' Press are published by invitation only. We focus on Southern Africa and strive to publish work which reflects the diverse experiences of the region and which is of the highest artistic integrity. The art world of South Africa is a relatively small one but at the same time is dynamic and covers all the contemporary fine art genres. We work with professionals who have successfully exhibited work of a consistently high standard and who are among the top South African artists. They are selected in terms of the high standard of their work and not because they follow a particular school, the emphasis being on excellence rather than a specific style. 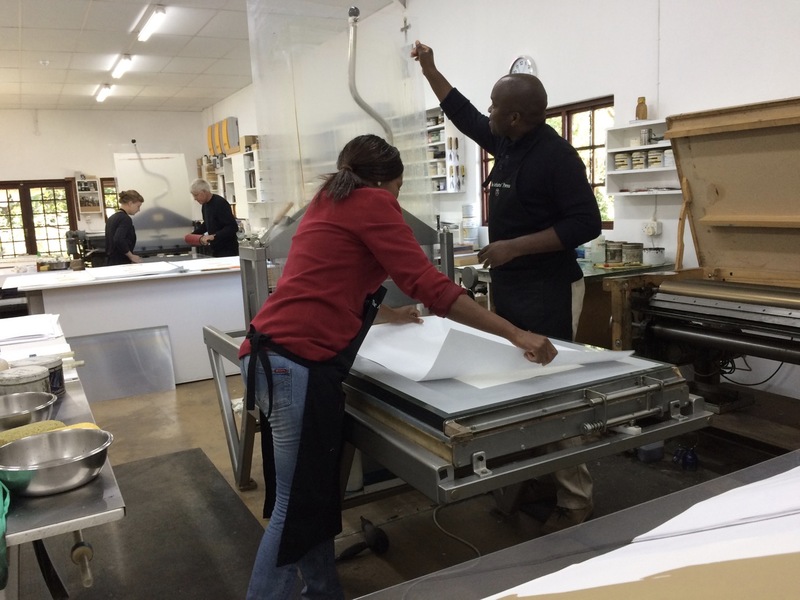 This means that the work available from our print studio is diverse and is a reflection of the variety of work available in South Africa as well as representing the conceptual concerns of South African artists. These vary from work that analyses contemporary social and political issues, abstract landscapes to the human figure and language. Once a year we work with a relatively unknown practitioner, often people who would be considered "outsider artists". This is in line with our aim of introducing people to printmaking and of assisting those who are on the fringe of the contemporary art scene in South Africa. These projects are exciting as one is dealing with the unknown and the coming together of technique and creativity in an inspired way. Work published by The Artists' Press and available from us via this website includes artists books, portfolios of prints and single prints. Work printed by The Artists' Press can be found in numerous private and corporate collections around the world. Public collections include: The Smithsonian Institute, Bodleian Library (Oxford University), US Library of Congress, Johannesburg Art Gallery, University of the Witwatersrand Gallery Collection, Botswana National Museum and Art Gallery, South African National Archive, Museum of Modern Art (New York), University of Cape Town, Winterthur Library (Switzerland), Durban Art Gallery, University of Johannesburg and Yale University (USA). For information about prints and for other print related sites please go to the links listed above. Litho stones waiting to be grained. 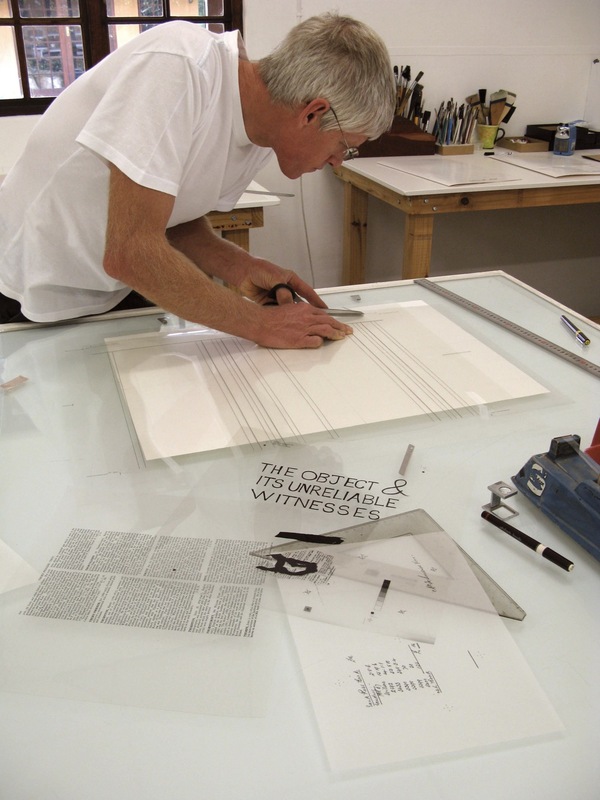 Mark Attwood working on a project for William Kentridge.